Creative piano lessons for kids aged 6 and over. Piano lessons for adults. It's never too late to start! 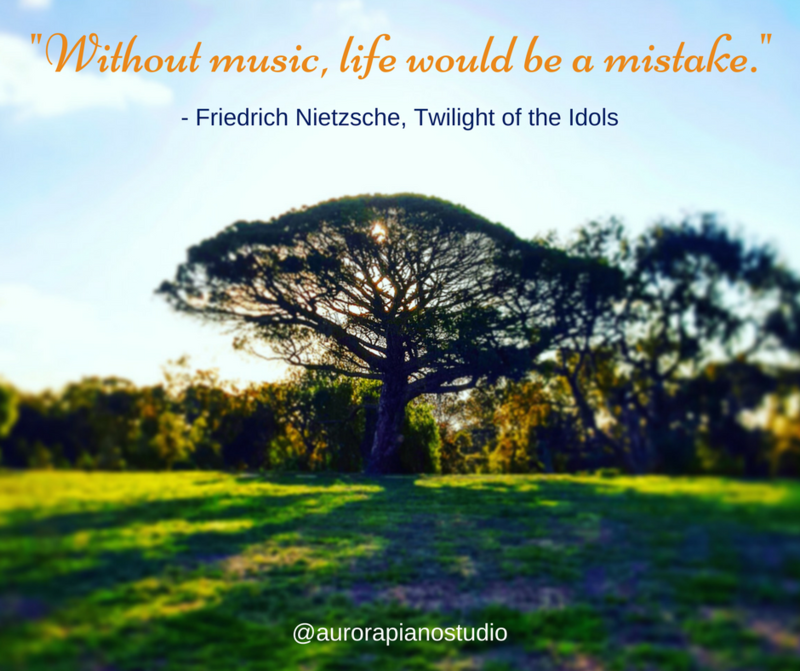 So, I imagine you've come to Aurora Piano Studio because you're interested in piano lessons for you or your child. Scientists keep telling us that listening to music, and especially learning music, have very positive impacts on the growing brain. Plus, the commitment to learning an instrument, practising regularly and progressing steadily, does wonders for your child's confidence and determination. I think it's safe to say that giving your child piano lessons is an investment in their future, and a gift that they will treasure even more as they grow older. Adult brains need to stay active, and ideally, we should always be learning something new. If we stop learning, we stagnate! People often say "you can't teach an old dog new tricks", but recent studies have shown that the brain is actually quite "plastic", meaning we can learn new skills. Some studies are now showing that keeping the brain active as we age may also help us avoid conditions like dementia. But even if we can't guarantee perfect health for the ageing brain, learning to play the piano will bring you great pleasure, and a wonderful sense of achievement. I'd love to discuss your own personal reasons for wanting to take piano lessons. Don't hesitate to contact me for more information, or to book in for your first few "trial" lessons.